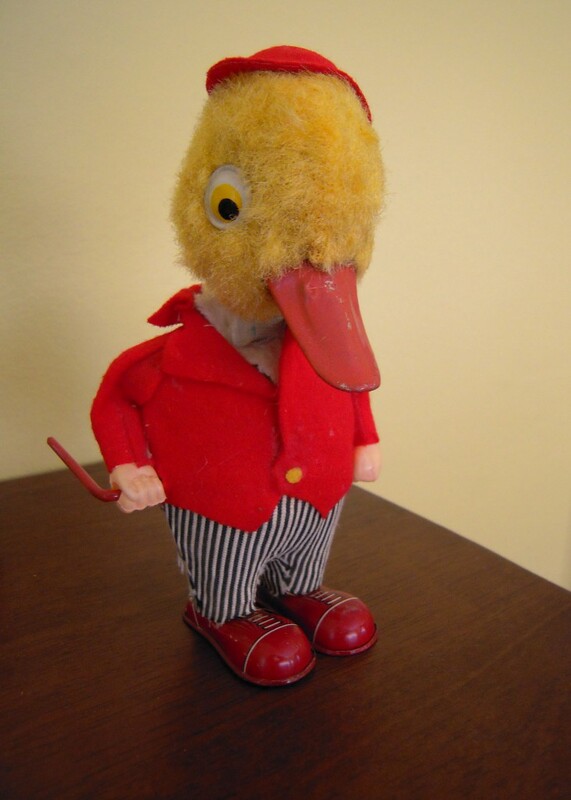 First I'd like to introduce you to my new friend, Ducky. He just came to live with me today! He's happy to twirl his cane if you wind him up! And sorry, he's going into my personal collection for now so he's not up for grabs at the moment. I'd say he's my fave find of the week! 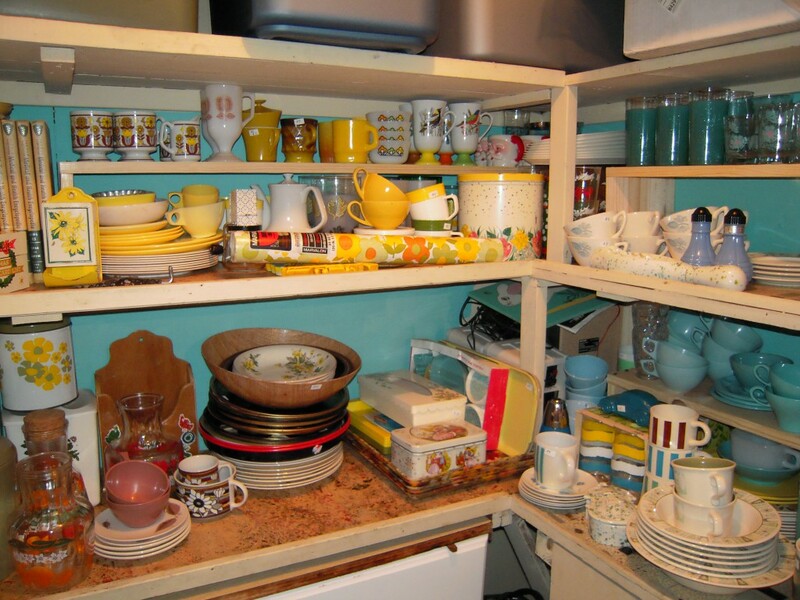 Now, let me introduce you to THE VINTAGE CLOSET. This is the old coal and canning room in my house. 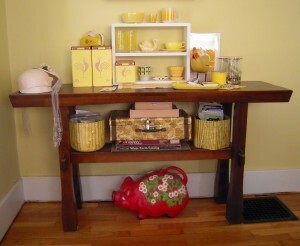 It’s just off of my studio and it holds some personal belongings, supplies, and well a whole lotta vintage! This is where most of the vintage I sell lives. 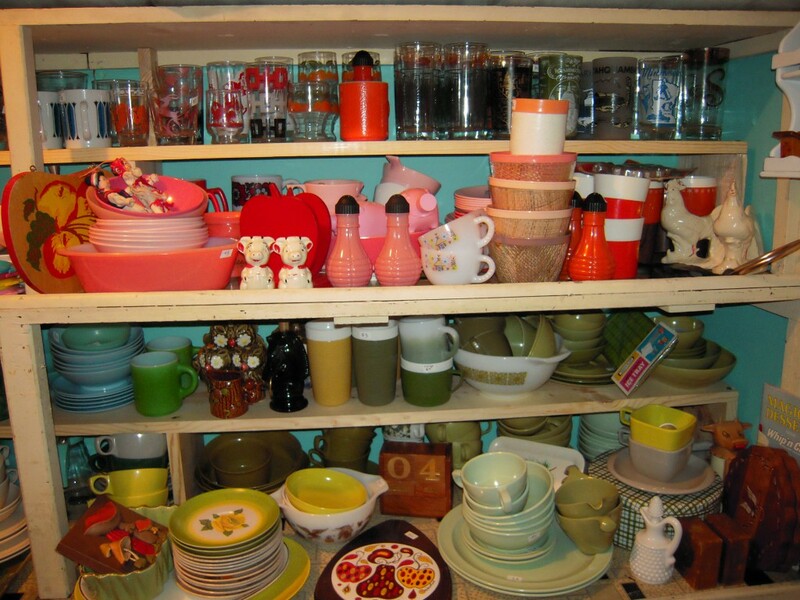 I try to categorize by color, one because it looks awesome and two because it makes things much easier to find. 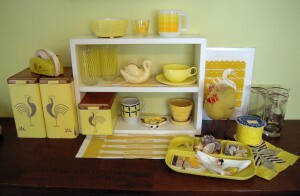 When a vintage order comes in I march over to The Vintage Closet and grab the items. I’ve been getting gobs of treasures lately and it is full up! Today I decided I needed to do a little mini makeover. I zipped off to the hardware store and picked up some paint and boards. 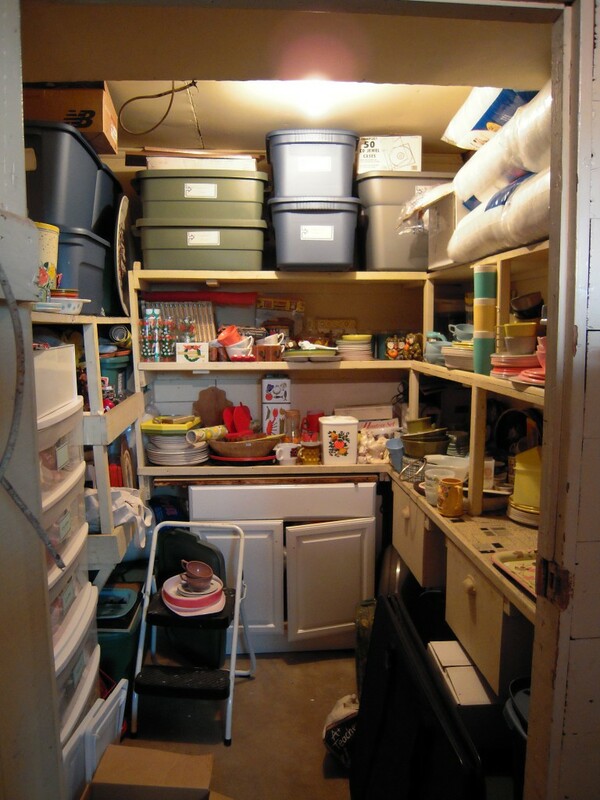 This is the before and below is the after! 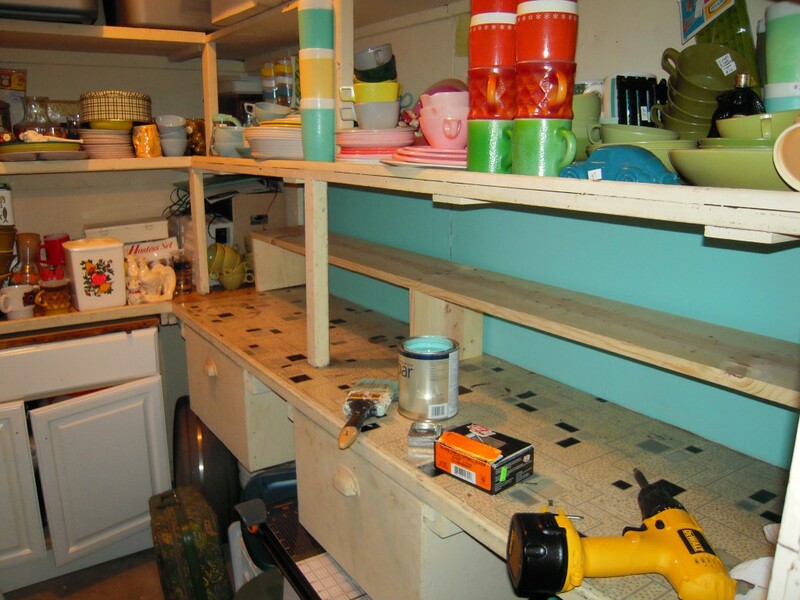 painting the wall aqua melmac blue really spruces up the vintage closet, and with a drill and a chop saw a gal can whip up some shelves in a matter of minutes! 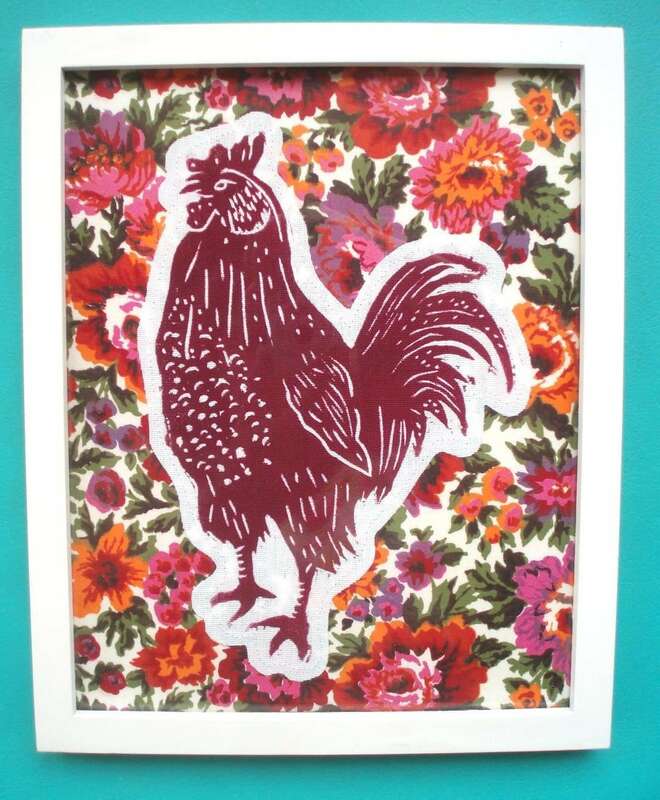 Roosters have been a cute and kitschy theme in kitchens for well, just about ever! 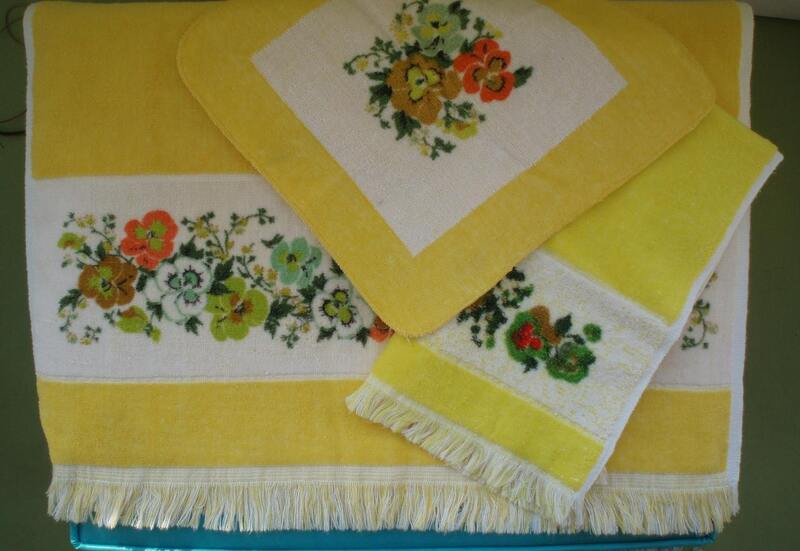 They are still a DO and this limited framed piece with gorgeous vintage fabric is no exeption! 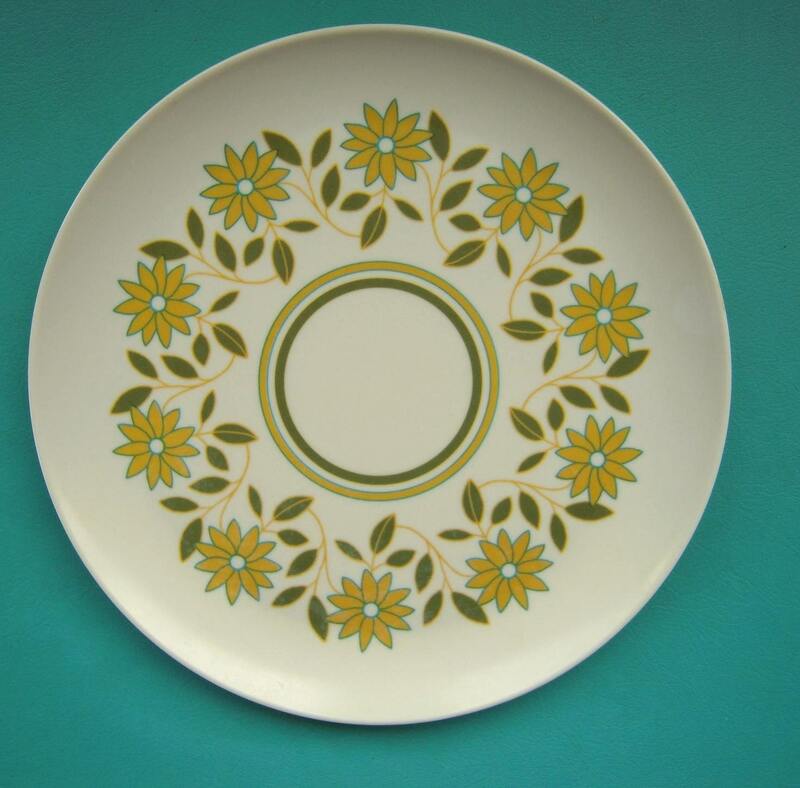 This one will surely add some pizazz to any room! 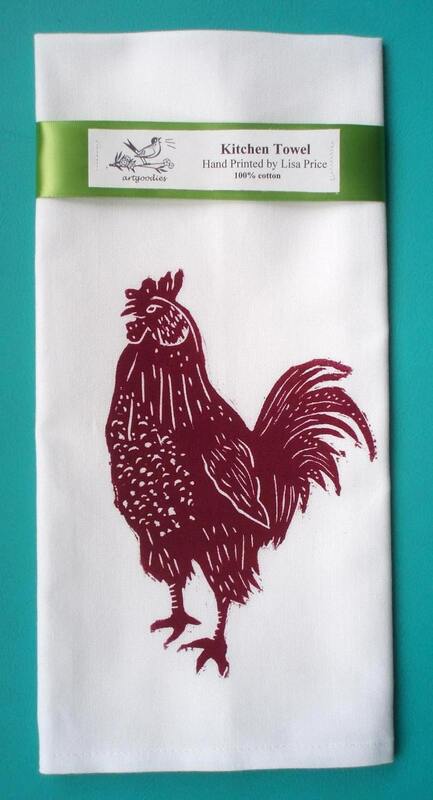 If you’ve got a rooster themed kitchen, and heck even if you don’t this artgoodies rooster towel won’t let you down! How totally perfect! 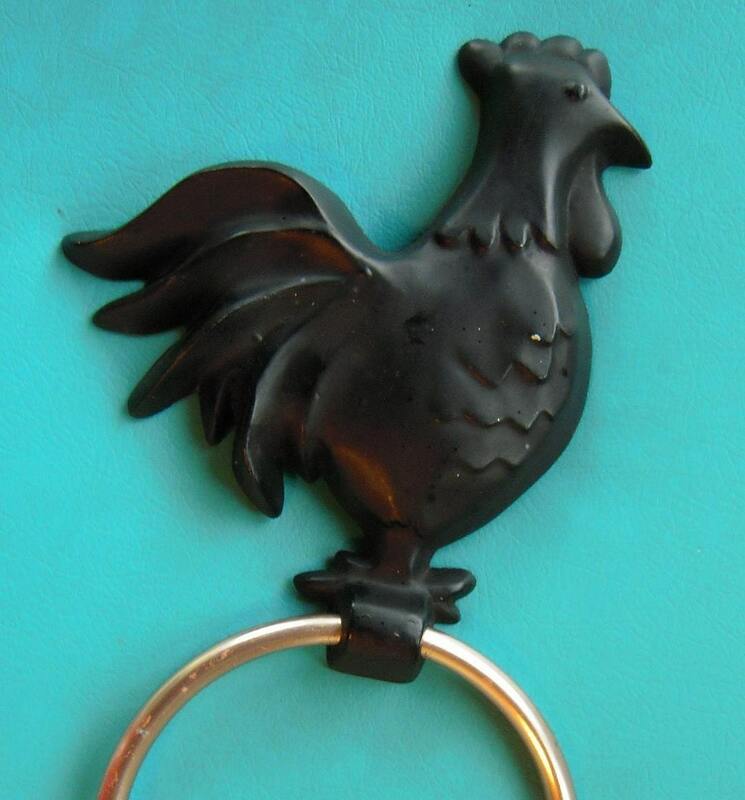 A must have to hang your artgoodies rooster towel off of! 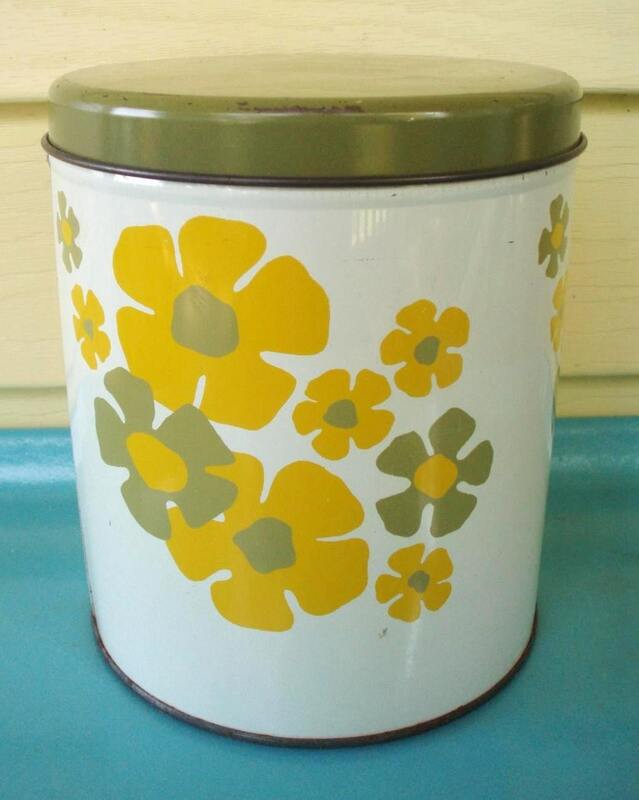 A cute and kitcshy vintage piece, totally a DO! 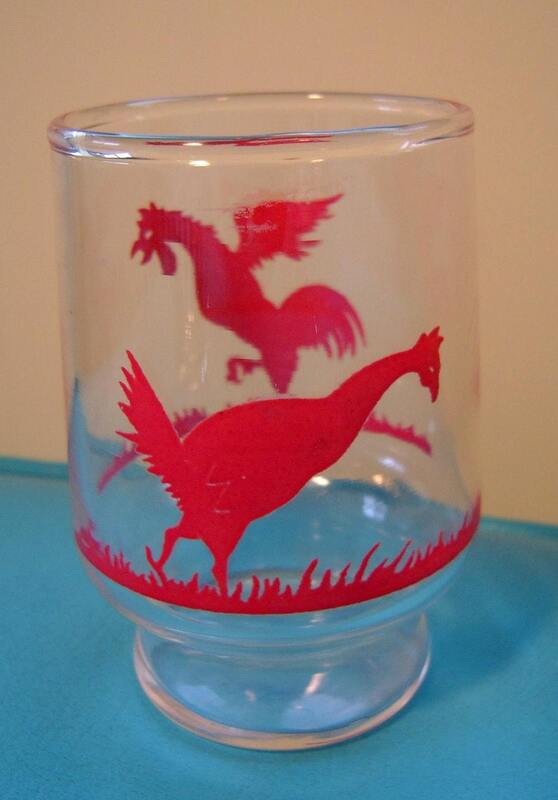 the roosters on this vintage glass mean business, I mean check out that strut! 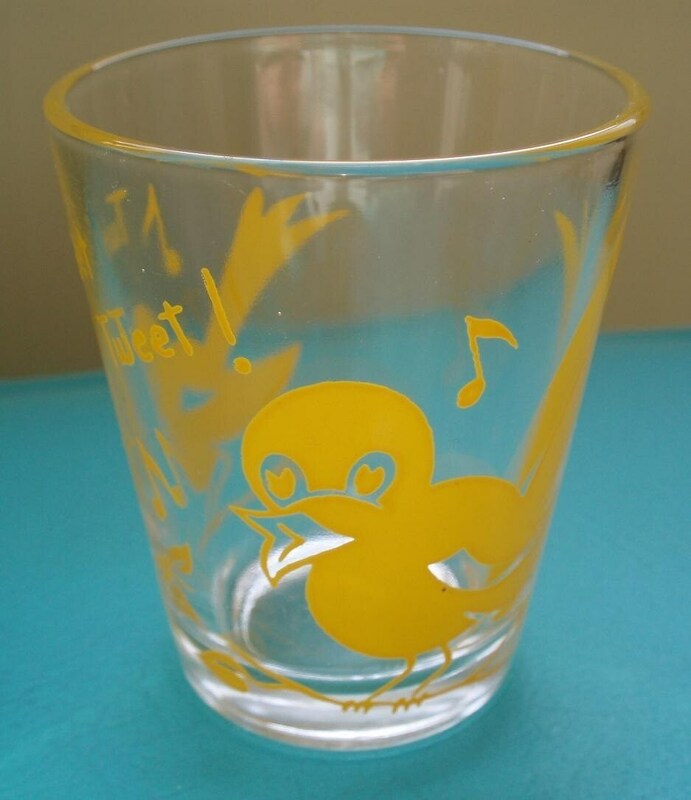 a perfect juice glass to get your day started! 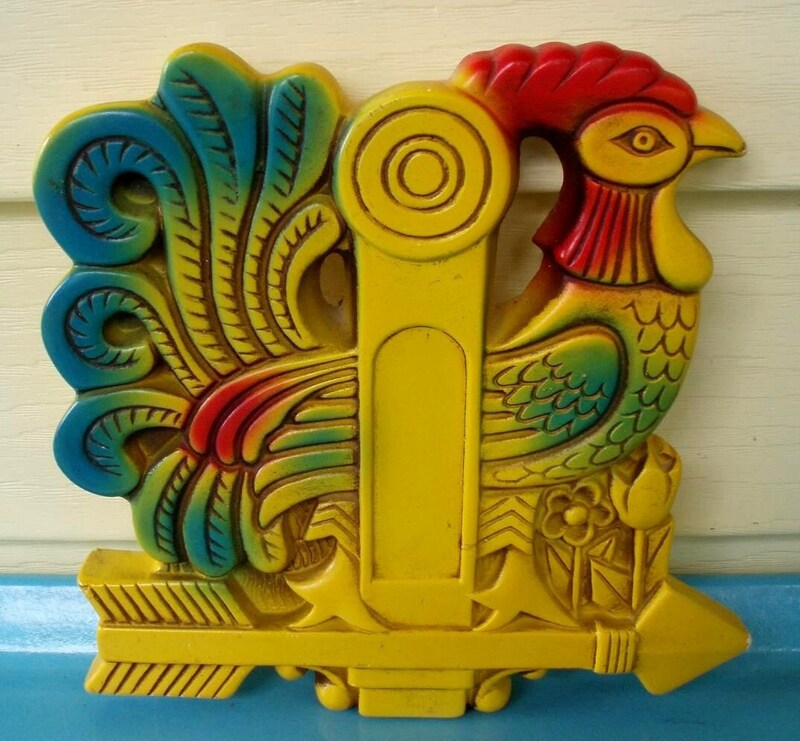 This vintage chalkware rooster is something special, AND would be a perfect companion to an artgoodies rooster towel! 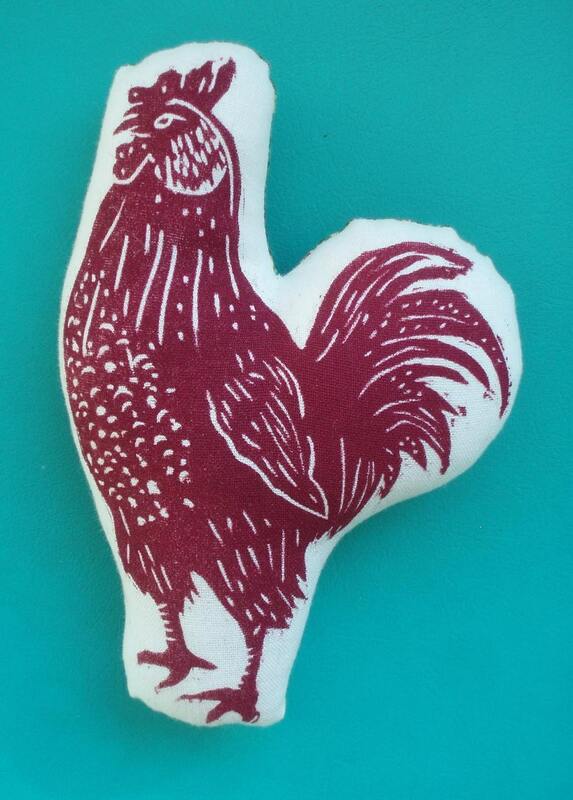 block print rooster stuffie perfect for home, office, or play, sewn together with vintage fabric and stuffed with polyfil. 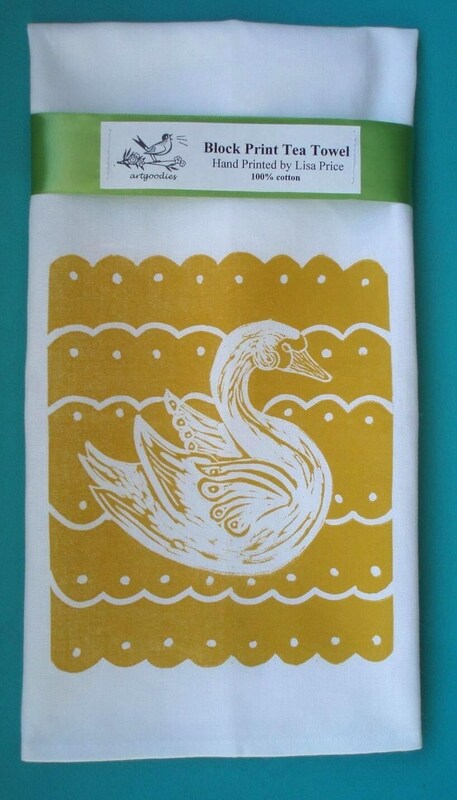 And FYI, with all this CSPIA business artgoodies inks have been tested and are confirmed 100% lead free! 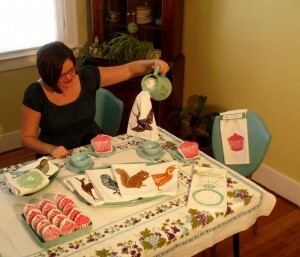 artgoodies cupcake tea towel party, a fun photo shoot! It’s my very first blog post folks! 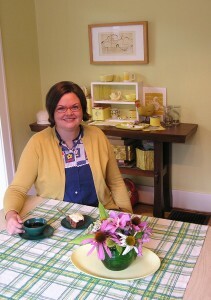 Get to know me, see my studio, my home, my personal vintage collections, and vintage finds I sell, and well, things I just plain love! You never know what you’ll find!